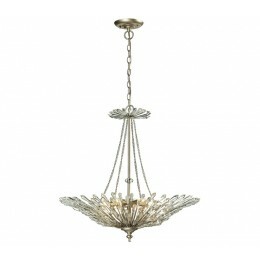 Brilliant arrays of crystal spears highlight the design of the Andromeda collection. Overlapping steel wires, finished in Aged Silver, form a gently curved shape while crystals sparkle when illuminated yet still fascinate when unlit. The combination of these elements transforms this design into a sculpture of textured light. 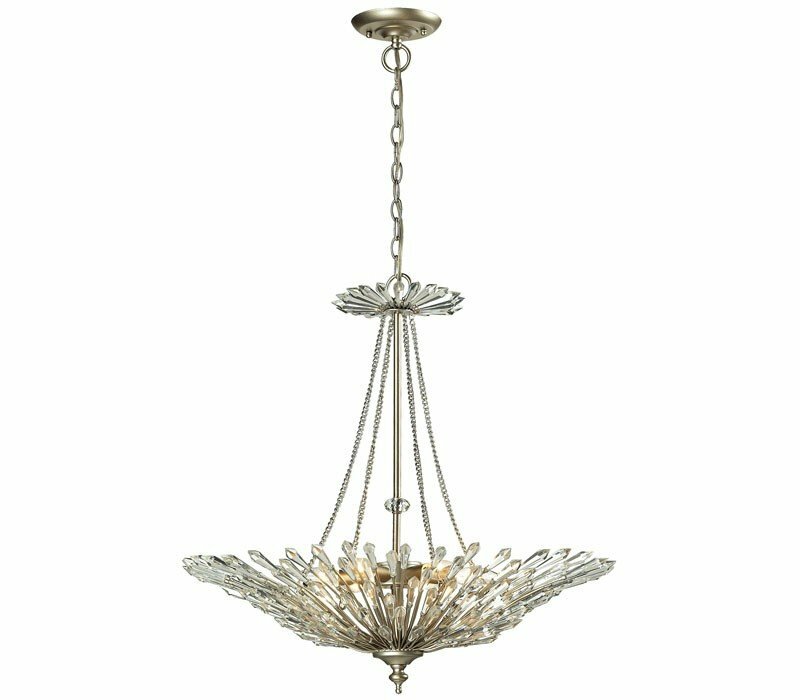 The ELK 31432/6 Viva collection Pendant Lighting in Aged Silver uses Incandescent light output and brings Modern style. The total wattage is 360 and the voltage is 120 volts. The ELK Lighting 31432/6 requires 6 bulbs (not included). Additional Information: Shade-Crystal - Type 5.